Getting your hardwood floors refinished with the Fabulous Floors method will add beauty and brilliance to your home. We use a long-time upheld technique for hardwood floor refinishing in Royal Oak, MI. Our technicians are highly skilled in all hardwood flooring services and our equipment is top-of-the-line! After having us out to your home, it will be no surprise that we receive so many positive reviews – our hardwood refinishing service speaks for itself. Contact us today to plan your appointment with Fabulous Floors Michigan and to see what a change in refinishing your floors can make in improving the beauty of your home. Through years of service, we have established a floor restoration system that is tried and true. Below we have outlined our simple yet effective process. If you have questions or are curious about how much it would cost to refinish your floors, we encourage you to give us a call! 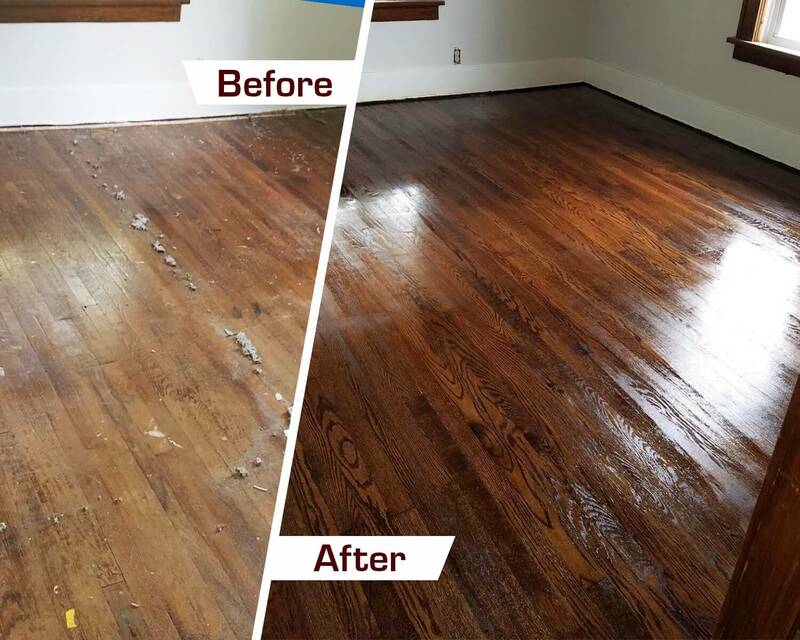 • To finish, we add a coat or two of our polyurethane treatment to give your floors that beautiful shine and to help protect against any future scratches that could befall your hardwood floors.